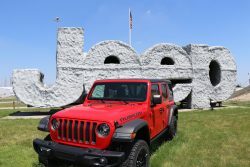 The Jeep® brand has introduced the first limited-edition model based on the all-new Jeep Wrangler, and it carries the name of an iconic off-road location with features to match. 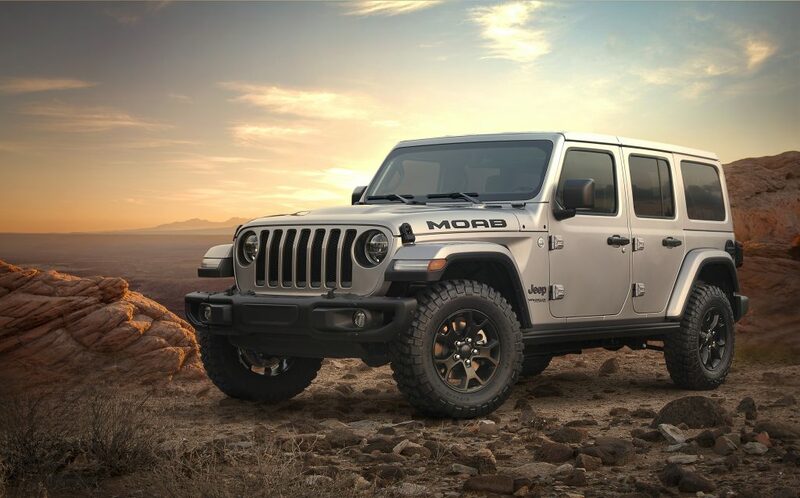 The 2018 Jeep Wrangler Moab Edition honors the long and storied history the brand shares with the annual Easter Jeep Safari event in Moab, Utah, and the role it plays in offering customer insight. 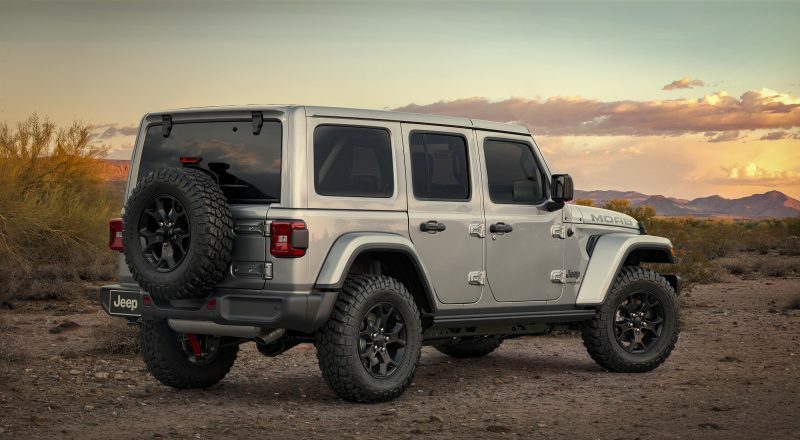 This new Wrangler is based on the Wrangler Sahara model and features a Rubicon hood and steel bumpers with removable end caps. It also features aggressive 32-inch mud-terrain tires, LED headlights and tail lights and Moab decals on the hood. Headlight surrounds, grille throats, tow hooks and the Wrangler’s 17-inch Rubicon wheels are all painted in Low-Gloss Black. Sahara side steps are available at no additional charge. A body-color hard top is standard, but the Dual Top Group or Sky One-Touch power top are also available. 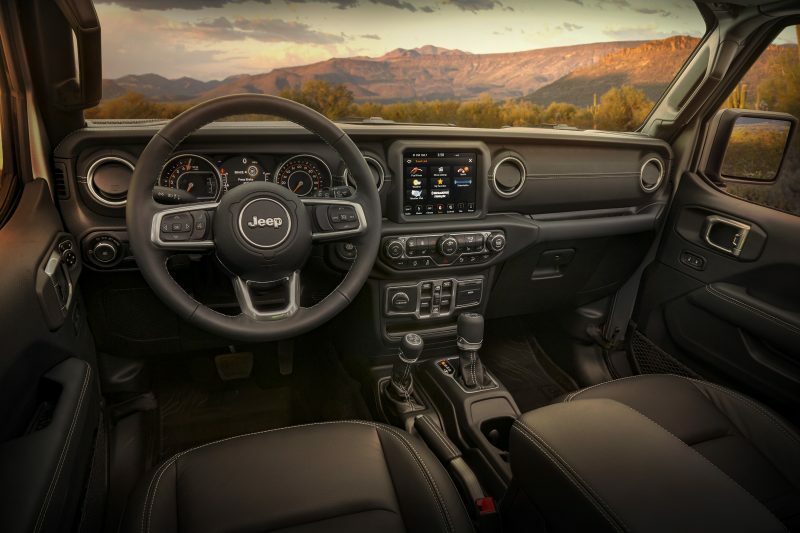 The inside of the Wrangler Moab Edition features the Leather Interior Group which includes leather-trimmed seats and a leather-wrapped dashboard with contrast stitching. It also has the Safety Group with Blind-spot Monitoring and Cross Path detection, and ParkView backup camera with dynamic grid lines. 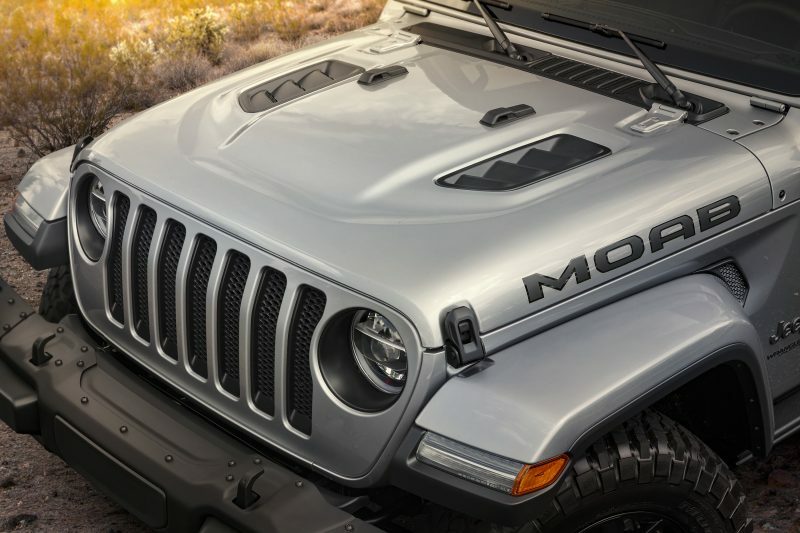 There’s also optional equipment available for the Wrangler Moab Edition including the Cold Weather Group, which features heated front seats and steering wheel and remote start, Trailer Tow and Trail Rail cargo management system. 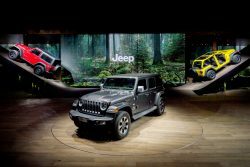 For more information about the 2018 Jeep Wrangler, visit Jeep.com. Hello from the Motor City! I’m Edward Cardenas and I’m multimedia editor for FCA US. As a lifelong Detroiter, I have been surrounded by the automotive industry. I’ve had members of my immediate and extended family work in the industry. I’ve covered it as a journalist and advocated for it as a communications professional. I have also experienced the thrills of the industry while riding in a race car at nearly 200 miles per hour. 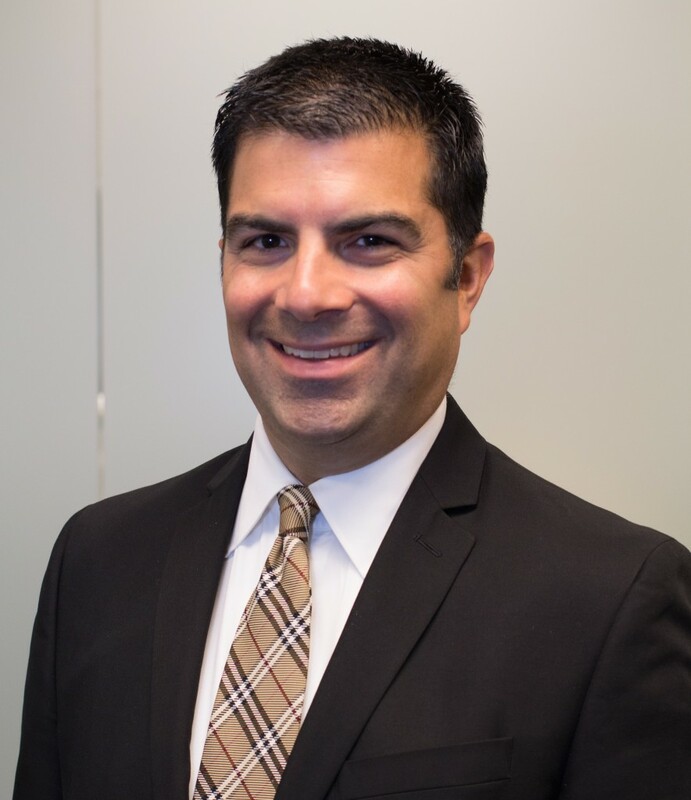 Having this breadth of experience, I look forward to drawing upon my experiences to bring a wide range of stories, photos and videos about Chrysler, FIAT and Alfa Romeo to FCA Digital Media. When I’m not covering my brands, I’m spending time with my wife and two boys.